The Edwardian conservatory combines clean symmetrical shapes with delicate finishing touches, resulting in a classic yet understated conservatory style. 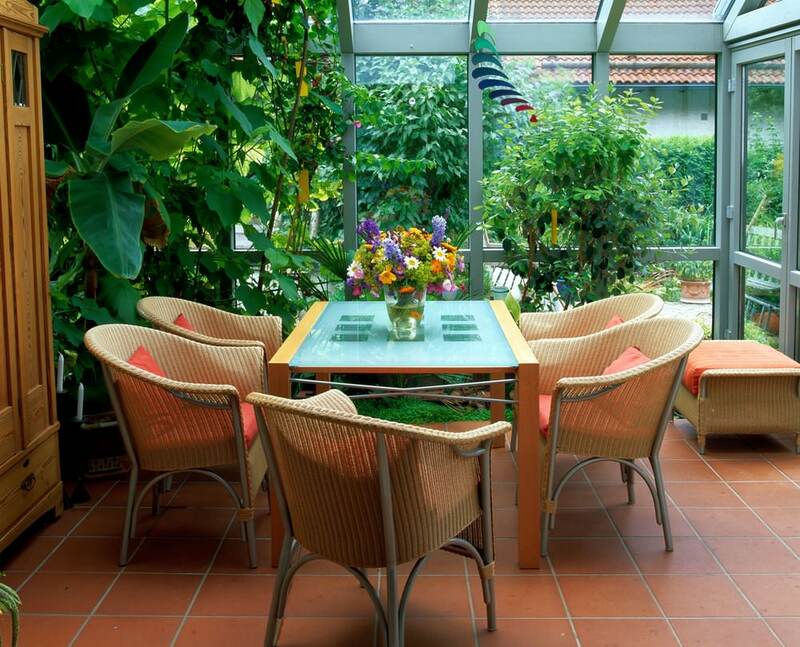 This flat-walled conservatory is perfect for those seeking a simple and uncomplicated design. 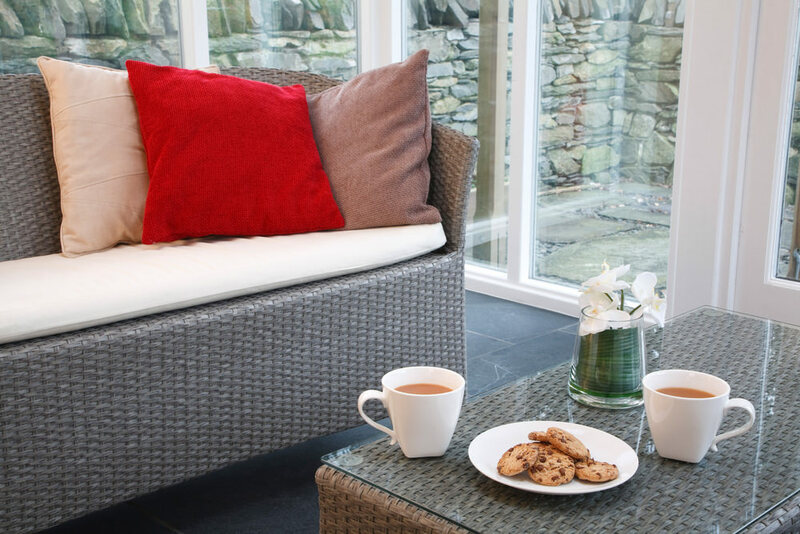 Keeping decoration to a minimum, the Edwardian conservatory provides a generous amount of floor space, allowing you to benefit from a robust and spacious design. Perfect for the inclusion of furniture, plants and even patio essentials. Extend and renovate your existing house to create a spacious new lounge or playroom. Considering an additional dining room? The Edwardian’s symmetrical design means it has the perfect proportions for a seating area. Your Edwardian conservatory doesn’t even necessarily have to fit a purpose. Simply after extra living space? 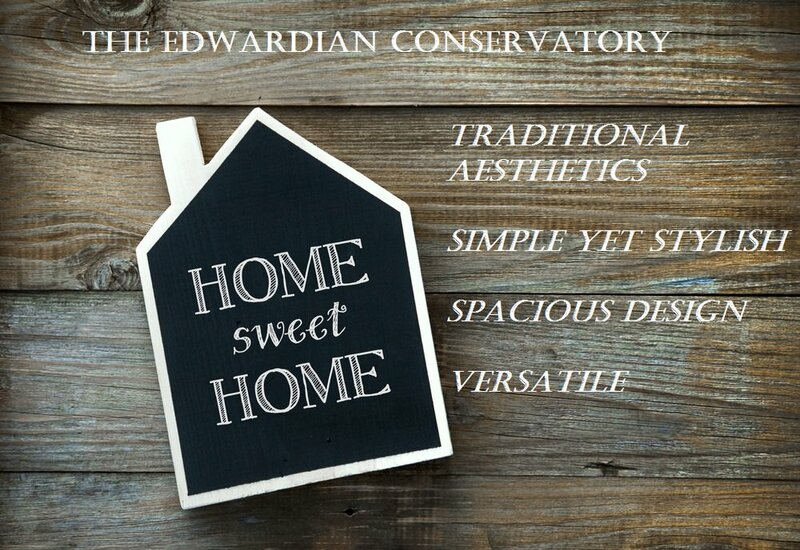 The Edwardian can provide you with just that and more. This design is highly versatile and presents you with endless opportunities. 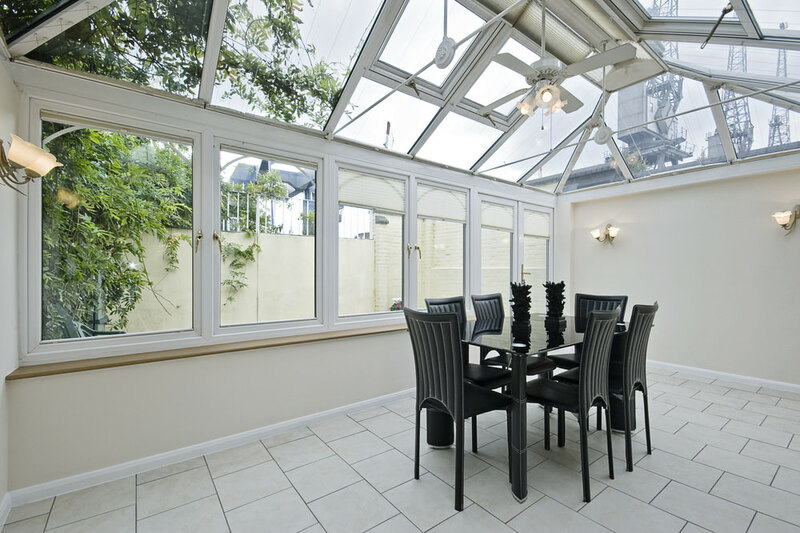 The Edwardian is the quintessential conservatory for those wanting to enhance the traditional aspects of their property. No mere extension, this style will blend beautifully with existing brickwork. As its name suggests, the Edwardian conservatory draws upon classical Edwardian architecture. Ideal for period homes, this style offers a classic and authentic look. Perfect for Edwardian style homes and furnishings. 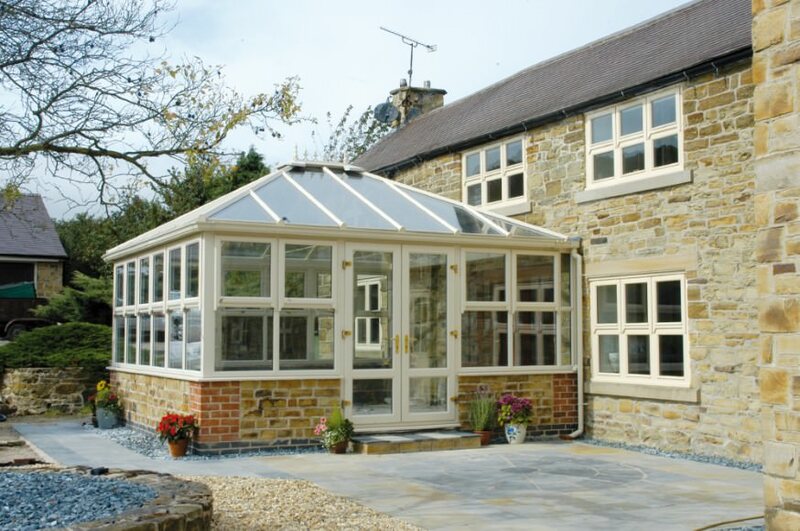 The Edwardian conservatory comes in a range of different build types. The style you choose will be dependent on the size and space you have available. Your trusted conservatory company will be able to recommend the best style for your property and specifications. The Edwardian’s use of plain glass walls and simple roof structure make it a popular design for those after a ‘clean’ look. The Edwardian conservatory can be designed with dwarf walls, or raised panels. French doors and patio doors are also a common occurrence on traditional style conservatories; however single door options are also available. Choose from a range of colour finishes including White and classic woodgrain finishes such as Oak and Mahogany. The Edwardian conservatory features a generous sloping pitched roof that provides a wonderful vaulted effect. The vaulted effect captures and enhances natural light, illuminating your conservatory. The front part of the roof is also pitched which is known as a ‘hipped front.’ The ridge is apex to the roof, making it similar to a roof of a typical house. The roof itself can be adjusted to fit any type of property so if you have a house with height restrictions such as a bungalow, you can still benefit from an Edwardian conservatory. Traditional Aesthetics: A classic Edwardian conservatory can enhance the original features of an Edwardian era property. Simple Design: The Edwardian provides a ‘clean’ appearance with a simple square shape and straight lines. Maximises Floor Space: Provides a big internal floor area, allowing for the inclusion of furniture suites. 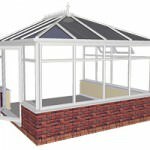 Adaptable: The Edwardian conservatory is available with a double hipped roof when height restrictions apply.